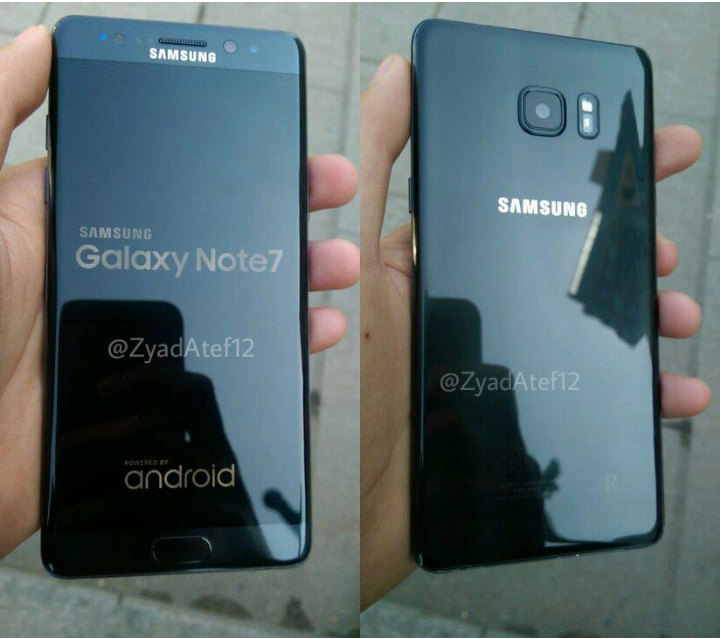 Samsung Galaxy Note 7R Leaked Shots to Reveal Front and Rear - Playfuldroid! The Samsung Galaxy Note FE (aka Galaxy Note 7R – refurbished version of Galaxy Note 7) is expected to get announced very soon. Two new images of the alleged refurbished phablet have appeared. The Galaxy Note 7R front and rear images show that it is the very same handset as the original Note 7. There is a distinctive R letter mentioned at the bottom of the rear panel to let the buyers know that it is a refurbished model. Rumors have revealed the phone will carry same specs as original note, but it will be coming with a smaller battery of 3,200mAh capacity and the latest Android Nougat software. The untimely death of Galaxy Note 7 soon after its launch in 2016 resulted in the recalling of millions of Note 7 handsets. Since the company has so many Galaxy Note 7 units that cannot be disposed as waste as doing so could lead to environmental hazard, the company is left with the option of re-launching it. Previous rumors have claimed that the smartphone would be launching as Galaxy Note 7R. However, newer information suggests that it would be called Galaxy Note FE (Fandom Edition). The Galaxy Note FE would be probably purchased by loyal fans of the Galaxy Note series smartphones. Releasing it as Galaxy Note FE would be better way to sell it instead of using Note 7R that can bring back negative memories of the ill-fated Galaxy Note 7R.